Are future enlargement candidate countries converging with the EU? 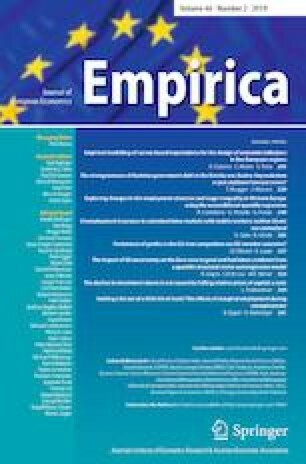 The paper addresses the issue of convergence with the EU for nine countries: Albania, Bosnia and Herzegovina, Georgia, Moldova, Serbia, the Former Yugoslav Republic of Macedonia, Turkey, Montenegro and Ukraine. All that are at different stages of EU candidacy that could eventually lead to full membership. Some are officially recognized as candidate countries while others are at the stage of an association agreement. The presence of convergence is examined in terms of two macroeconomic indices: GDP per capita and GDP per person employed. Panel unit root tests as well as univariate unit root tests are estimated for the period 1997–2016. In broad terms, the empirical findings reported herein indicate a lack of convergence with the EU irrespective of the metric used. However, they indicate a process of in-group convergence mostly in terms of GDP per person employed. The authors are grateful to two anonymous referees for spotting flaws and inconsistencies in earlier versions and for their insightful detailed comments and constructive suggestions that helped improve the paper. They also wish to sincerely thank Junsoo Lee and Constantinos Katrakilidis for their assistance with the panel LM unit root test code.